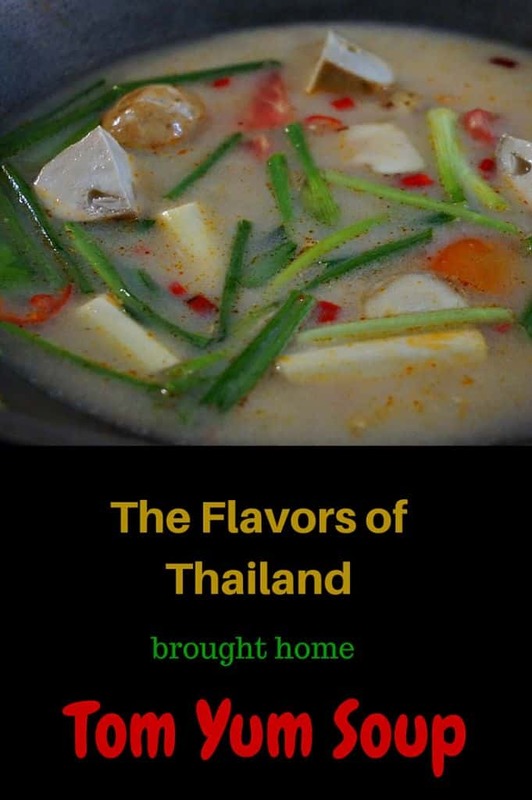 This classic Thai soup has always been a favorite at our house, but the first time my husband and I made it ourselves was during a Thai cooking class in Bangkok. We were first treated to a tour through the market where we were able to shop like locals and see all of the exotic fresh ingredients. The whole day was a wonderful experience, made even more so by learning that we could cook all of the things we made that day at home. Luckily, my new friends at the Silom Cooking School were willing to give us the recipes, and encouraged us to share them with our readers. 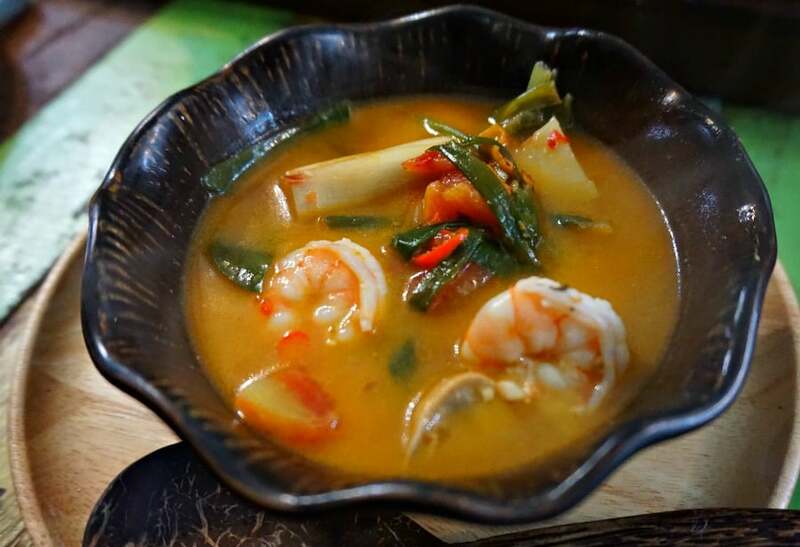 Here is a slightly adapted version of their classic Tom Yum Soup. Add the lemongrass, ginger, lime leaves, mushrooms, chilies, tomato and chicken stock to a wok or sauce pan on high heat. Bring the mixture to a boil..
Add the shrimp and cook until tender. Add the coconut milk, lime juice, fish sauce and chili paste. Continue to boil until the soup for 3 minutes in order to combine the flavors and reduce the soup. Garnish with fresh cilantro and green onions and serve immediately. *Nam Prik Poa is available in Asian Markets. If you cannot find it, substitute with 1 teaspoon of brown sugar, 1/4 teaspoon of cayenne pepper and 1 teaspoon of tamarind paste (or rice wine vinegar). A special thank you to Silom Cooking School who provided the basis for this recipe. this looks so delicious!!!! also very nice to find your blog.